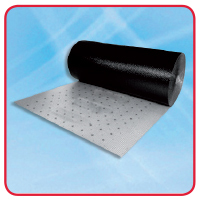 Maincor Screed Foil is designed to be placed directly on top of the floor grade insulation, providing a greater level of reflective insulation. Supplied in 60m x 1.25m rolls. Thermal resistance = 0.081m2K/W.